If you have a large number of packages that you want to migrate to MyGet, this document will guide you through that process. Whether you are migrating from a file share or a NuGet.Server based feed or simply want to do a bulk upload to MyGet, the following tips will help. We will be using a bulk upload approach. Note that importing packages from an existing feed is possible too, if the feed is available over the Internet. A bulk upload is typically the easiest way to migrate packages to a MyGet feed so we will focus on that one. This command will trigger the upload of all packages in the working directory to the MyGet feed. 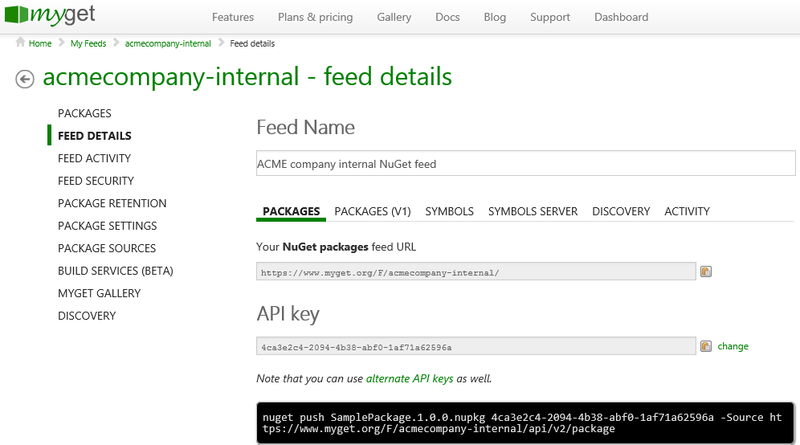 This topic will guide you through where packages can be found in popular NuGet feeds. Keep in mind these packages can be uploaded in bulk using the technique described earlier. When bulk uploading from a file share, you probably already know the path. Use the command described earlier to perform a bulk upload of packages. 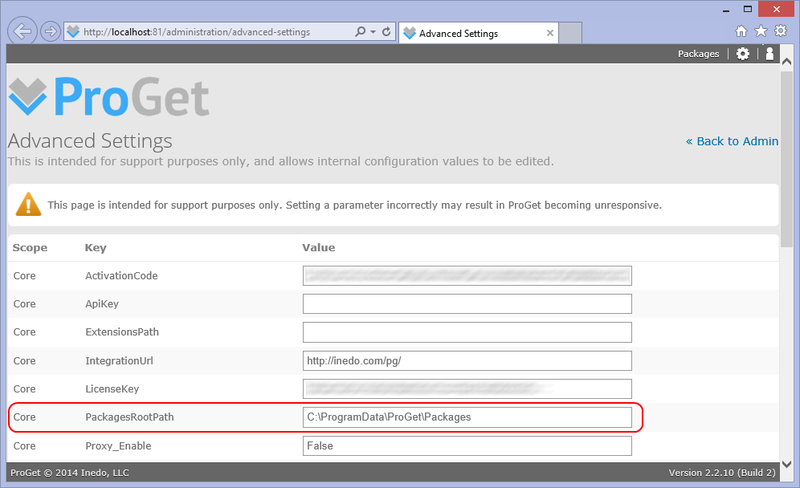 Packages from NuGet.Server are stored under the packages folder of the application (unless configured otherwise). Use the command described earlier to perform a bulk upload of packages. The NuGet gallery stores its packages on the file system, under the ~/App_Data/Files folder (unless configured otherwise). Use the command described earlier to perform a bulk upload of packages. By default, ProGet stores its packages in the C:\ProgramData\ProGet\Packages folder. The real path to where packages are stored can be found from the administration dashboard under Advanced Settings. The PackagesRootPath setting will provide the full path. TeamCity treats packages as artifacts. Packages will be stored in under the /system/artifacts directory, in a separate directory per project, build configuration and build number.